Verizon after running ad campaigns on TV for a long time telling that unlimited packages are more expensive and they cost more to the users; they recently announced a new unlimited package after discontinuing their unlimited package back in 2011. Verizon came up after all these years with a package that no one can say no to and the users who switched to other networks because Verizon discontinued their unlimited package have returned to the carrier. Maybe this is why there is a sudden change of plans observed and more changes are taking place in the world of telecommunication. Although, can’t deny that this week have been weird and rough as most networks have face trouble due to Verizon’s recently announced unlimited plan. Now Verizon is offering unbelievably cheaper plans for single user and for a family of four and then every person added gets the group further discounts and the rates go unbelievably low. The company/carrier that was opposing the unlimited plans in TV ads since sometime now is now out with their own unlimited plan after ages to give the rest of the carriers a rough time and why not, we are talking about the largest carrier here. Verizon did everything in its power to prove that the unlimited packages are making people pay more for the quantity of data they will never use until last Sunday when the Verizon users were offered a $80 unlimited plan per month per user for data, talking and messaging. This week, we see more carriers announcing the same changes and updating their packages. 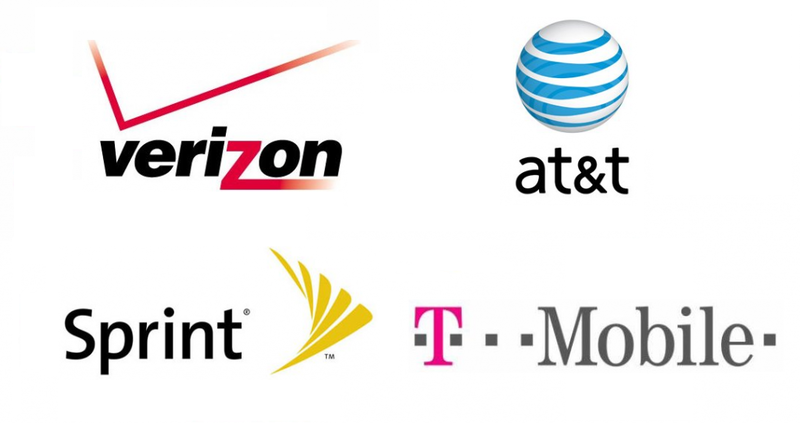 T-mobile, AT&T and Sprint are following Verizon but why? John Legere, the CEO of T-mobile announced that from the next month, the users of T-mobile will be paying for unlimited data and there will be no caps on data for the post paid plans. The post paid plans offered by the T-mobile will be provided with unlimited data from next month onwards. The CEO of T-mobile says that the increase in the use of internet via phones is the reason behind the changes and upgrades and he thinks that there needs to be no limit on the data used. The data we use on mobiles is the primary way of using internet so there will be only unlimited data for the post paid plan users of the T-mobile. There are still prepaid plans with data limits and the plans that are using the unlimited data are only offered a certain limit of video quality and your account needs an HD pass in order to watch the high quality videos. This is a wee bit confusing for the users because T-mobile does not have many packages and they basically want to simplify things for the post paid users by applying weird changes and conditions on the existing packages and one would think what is the difference anyway and the change all of a sudden when everything worked smooth for a long time. Similarly other carriers joined the bandwagon and upgraded their packages a little during the same time when Verizon announced the upgrades and their unlimited packages. Sprint was the next to join T-mobile and Verizon in the unlimited plan bandwagon and announced a $90 unlimited plan for 5 lines for a month until March 19th. Coincidence? We like to think otherwise. Sprint has however a lot more and better than Verizon and T-mobile both, things to offer. It is offering their first line for $65 for one line and an additional $5 discount for allowing the Auto Pay (unlike Verizon) a lot more of their new upgrades include 10 GB hotspot and unlimited HD videos streaming. Sprint is a worse choice if you use up your allocated unlimited data and kicks you down to 2G which is pathetic. Other networks such as T-mobile and Verizon takes you down to 3G. But when we see the prices offered for the unlimited packages for the new Sprint customers coming onboard now, it is offering impressive packages, for example if you are now joining sprint, you get an unlimited package for the first line for $50, second like for $40 and third fourth and fifth lines are absolutely free! (At least this goes on till March 31st but they are free!) But if you are an old user and you need additional line on Sprint, you get it for $45 and thirst and fourth for $35 and then there is additional discount if you use the Sprint Auto Pay feature for $5. After the 31st March, all the free packages get to pay what they actually cost. Unlike T-mobile and like most carriers, Sprint also charges some extra fee here and there. Calling AT&T the worst in offering an unlimited plan, they are offering their unlimited plan for a single line for $100 which is far more than anyone else is charging currently and additional line costs you $40 till the fourth line, which is free. Unlike the 10GB hotspot limit available on other carriers such as Sprint, Verizon and T-mobile, AT&T does not offer tethering at all, which is very disappointing in this age. So apparently Sprint did a far better job at it than AT&T and AT&T seems to have offered the unlimited package just because and does not have anything premium that matches with the premium charges they are taking from their customers. Comparing the charges for the four carriers, Verizon is the mightiest of them all as it is the largest carrier in the whole country and the only reason people moved away from Verizon (if any) was due to the fact that it did not offer unlimited data anymore unlike now. T-mobile being the smarter one won the game but offering slightly better rates than Verizon (although with weirdest of terms) but the prices go a little below than what Verizon is charging. Having said that, it wouldn’t be wrong to assume that the sudden shift experienced in all carriers is due to the Verizon’s announcement last week.